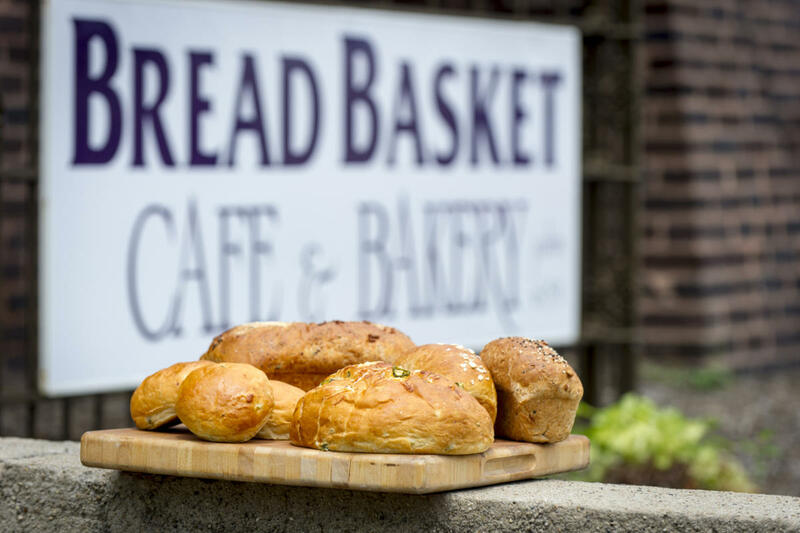 This family-run cafe and bakery is nestled in a historic bungalow, featuring tasty cuisine crafted in-house with locally grown produce. 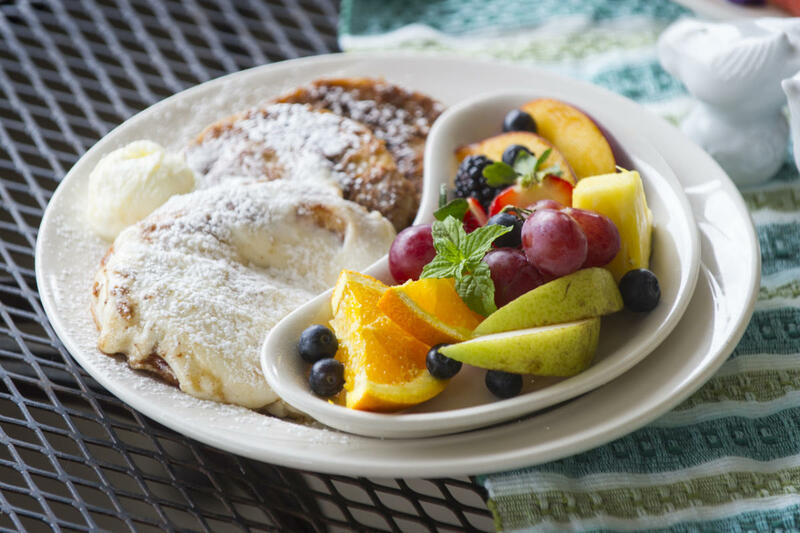 You’ll marvel at the variety of handcrafted breads, pies, cakes and more as you enjoy a full breakfast and lunch menu, plus locally roasted coffee and loose-leaf teas. Don’t miss the decadent desserts such as Sweetie Pies and Baby Cakes! While you’re there, enjoy the work of several local artists showcased around the bungalow. 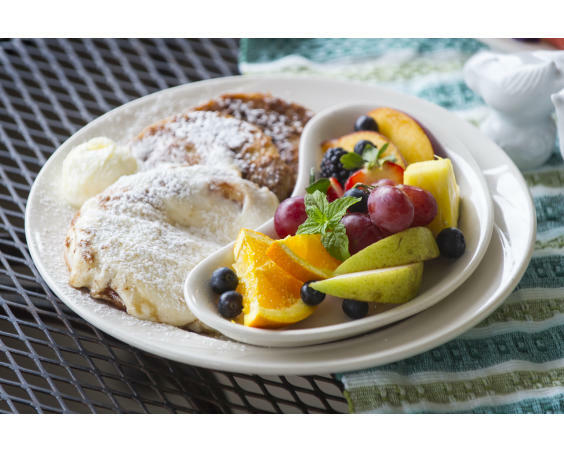 Description: Groups up to 40 people may be accommodated inside the restaurant outside of business hours, or the Bread Basket can cater to larger groups in the Visit Hendricks County large meeting room or other location. 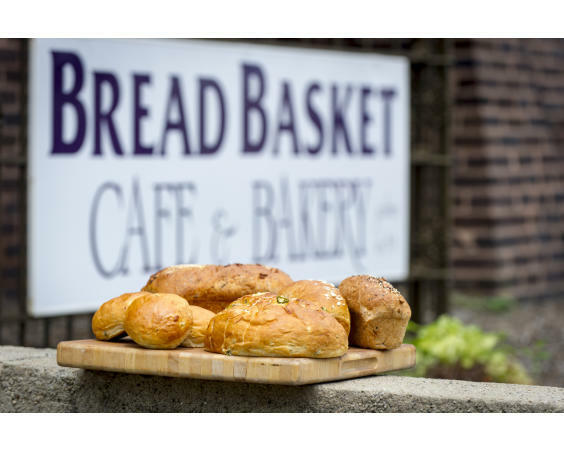 In addition to full meals, the Bread Basket offers an array of delicious homemade cakes and pies.